Holistic health advocate Deepak Chopra is at it again, this time spouting his patented food nonsense at the “Fat Summit” online conference. While speaking to celebrity doctor and alternative medicine enthusiast Mark Hyman, Chopra explained that the vast collection of microbes in our gut are actually capable of listening to our thoughts. As science and technology correspondent Kavin Senapathy reports at Forbes, Chopra spoke to Hyman in a one-on-one, but instead of talking about fats in our food, he used the opportunity to address a different subject, namely “leaky gut syndrome.” Chopra linked the gross-sounding and possibly fake condition to the human genome, the epigenome (i.e. the body of characteristics that are triggered after conception) and the microbiome (the collection of hundreds of trillions of bacteria, viruses, and fungi living in and on each of our bodies, particularly in our gut). Leaky gut syndrome is a hypothetical condition, one that’s not taught in medical school. In Deepak Chopra’s dream world, “we are a few human cells hanging on to a bacterial colony, we are the awakening of bacterial consciousness.” According to the celebrity butcher of science, the microbiome has likes and dislikes. Whoa, full stop: Chopra’s suggestion that the microbiome doesn’t like things that are “GMO’d” is clearly problematic. Terms like “GMO” and “Genetically Modified Organisms” are scientifically arbitrary. Moreover, Chopra failed to describe how it is exactly the trillions of bacteria in our guts can actually discern something that’s “GMO’d” from something that’s supposedly natural. Well, aside from some kind of specious “conscious” link. I love yoga, and I do it, and I always feel transformed, and it’s amazing that not only your genes are listening to your thoughts, but your microbiome, the bacteria are listening to your thoughts. The functions, interactions and inner workings of these “omes” are complex, with our understanding of them still at an infant stage. 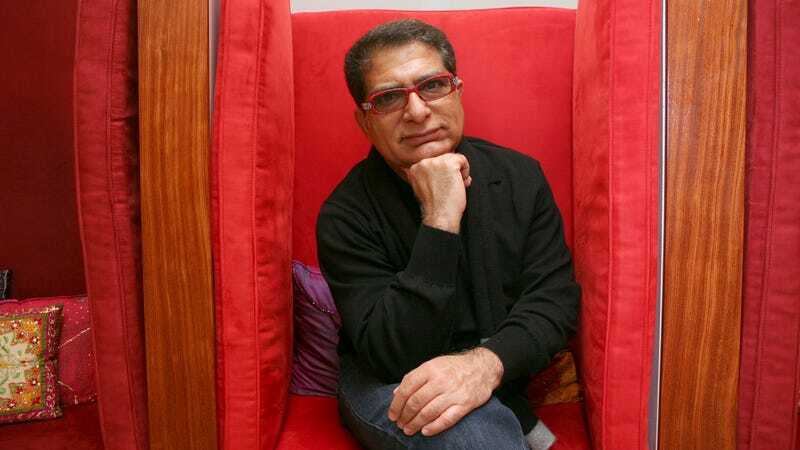 In other words, what we know about the microbiome, epigenome and genome is dwarfed by what we have yet to learn, and Deepak Chopra exploits this, taking brazen liberties to fill in the gaps. Obviously, this is hardly the first time that Chopra’s taken some brazen liberties with the truth. And it surely won’t be the last.